The fitness tracker movement reminds me of that saying about the weather. Everybody talks about the weather, but nobody does anything about it. Pedometers and trackers are helpful, but they are observers. I discovered a cool gadget at CES that actually improves your health. The Valedo is a two-piece wearable that sticks to your chest and lower back using the 100 included disposable stickers. The two lightweight sensors work together to determine your posture and position, while you "play" a 3D interactive game. The Valedo games are free on the iOS App Store and work on an iPad, iPhone or iPod touch. They are similar to an Xbox Kinect game, tracking your movements, all the while directing you to "exercise" without thinking about it. 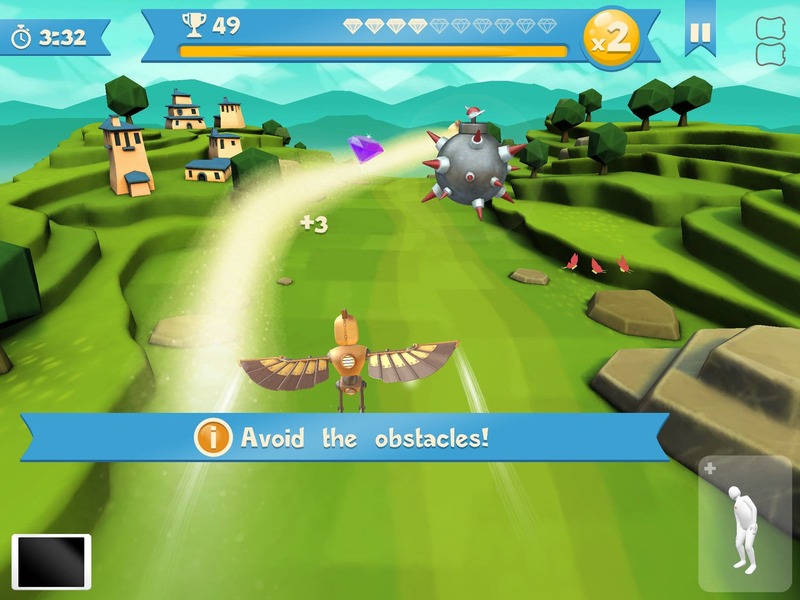 Instead, you are moving through fields, flying along a path, collecting jewels, and avoiding obstacles. The app could ideally be paired with a big screen, thanks to Apple TV and AirPlay mirroring. I could see the Valedo being prescribed as a way to get and maintain a healthy back. I found the games to be quite beautiful and a welcome break from swiping and tapping games. The best kind of exercise is the kind that doesn't remind you that you're exercising.